Have you guys tried the "tube" technique? It is a simple technique with jelly roll strips. Pretty simple and fun, with a lot of options. I found this tutorial, from Missouri Star Company on the technique. Watch it, it's cool. What you are left with is a bunch of blocks like these. They you basically have "cooler" half square triangles, with all the layout possibilities. I did this zig zag chevron pattern. I really like it. Problem is, I didn't make many blocks. I was just planning a few decor items for my living room, but I changed my mind on colors. So now I am not sure what to make with them. Too small for a quilt. Not the right colors for a pillow or mini...hmmm.. I guess it will just go into the pile of UFO's and one day, hopefully, I will come back to it. What about a tote bag? Love the scrappy look to the zig zag. 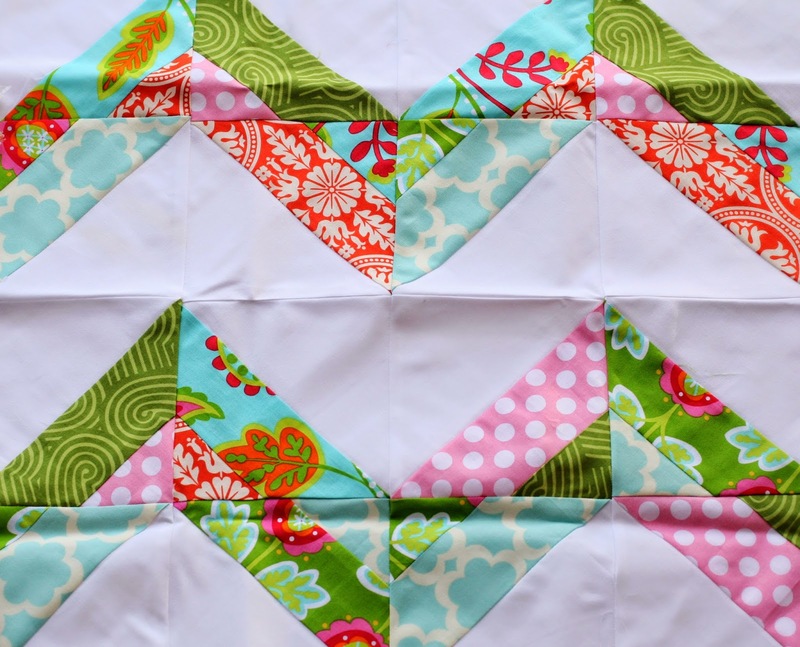 Thanks for sharing the tube piecing tutorial from Missouri Quilt Company. I am going to try that. Love your fabrics you used. Keep them. 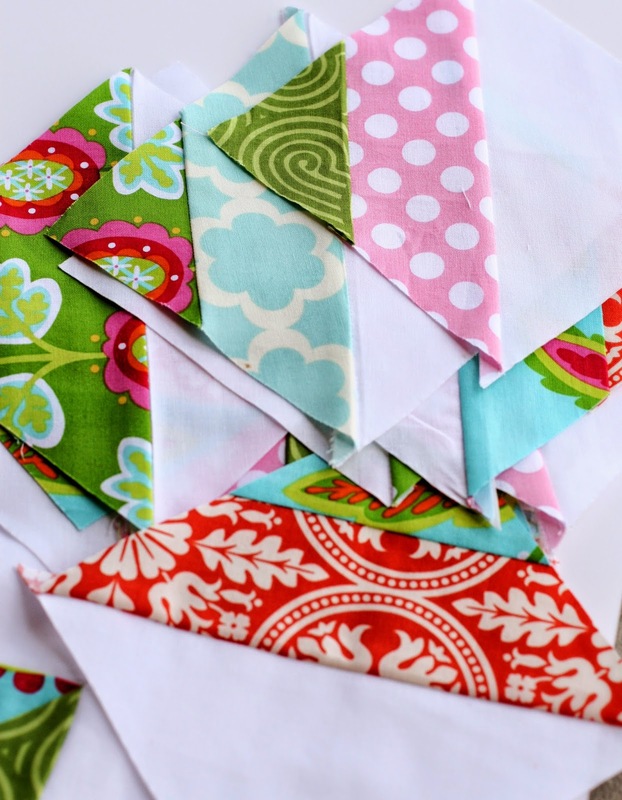 These pieces alone may be too small for a quilt, but you might find a complimentary fabric one day, and the rest of the quilt will be come together. These colors and pattern are so beautiful. They are keepers. This is a really cool technique. Thanks for sharing it! This is so pretty. Cool tutorial, too. Thanks for the link. How about cutting up what you have to make matching coasters, mug rugs, placemats, and/or mats to put hot pot things on (my mind has gone blank on what to call those).